As previously reported, Obama’s visit to the Islamic Society of Baltimore on Wednesday was to serve as a gesture to “celebrate the contributions Muslim Americans make to our nation and reaffirm the importance of religious freedom to our way of life.” His 40-minute speech sought to portray Muslims as being an integral part of the fabric of the nation, and to call upon Americans to speak more positively of the Islamic religion. Obama then asserted that Islam is a part of American history. Obama also pointed to the historicity of American mosques dating back to the 1800’s, and said that some thought Thomas Jefferson was a Muslim, so Obama is not the first president to be accused of following Islam. During his speech, Obama also called upon the various religions to find common ground and asserted that Christianity and Islam share a common history. “We are all God’s children. We are all born equal with inherent dignity. And so often we focus on our outward differences and forget how much we share. Christians, Jews, Muslims—We’re all under our faiths descendants of Abraham,” he contended. He stated that Christians and Muslims should speak out against violent acts committed against one another. The president called upon Americans to resist profiling Muslims. 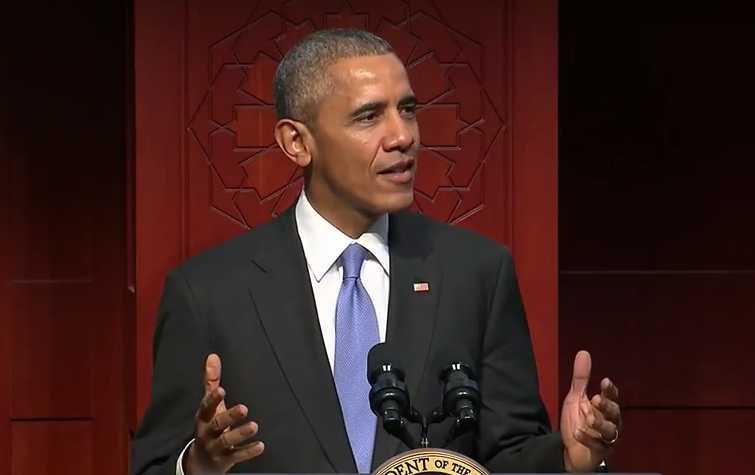 His speech also called for greater representation of Muslims in American life. Obama has asserted on several occasions during his presidency that terrorist groups are not representative of the Islamic religion, which he claims is by and large peaceful.